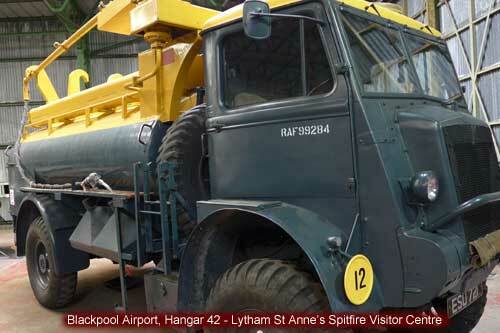 Inside Blackpool Airport is a developing aviation museum. 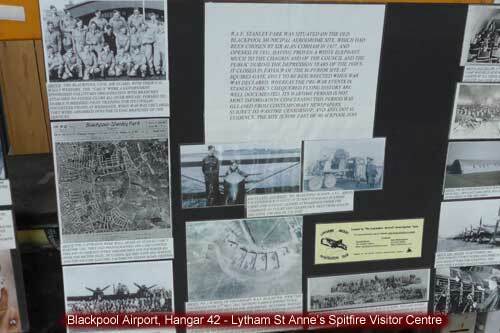 Lytham St Anne's Spitfire group collected money to commemorate the Spitfire paid for during WW2 by the people of Lytham St Anne's. They then mounted a Spitfire on a pedestal at Fairhaven Lake. 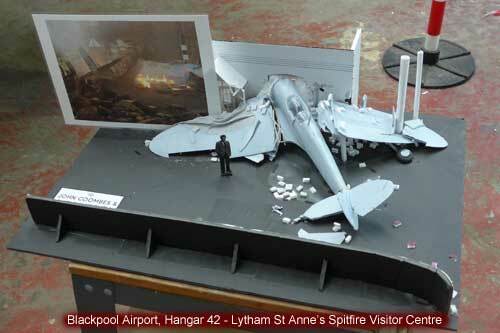 At present they are improving the hangar they took over on Blackpool Airport. 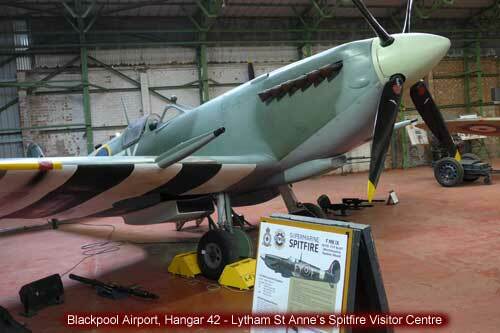 Hangar 42 contains 3 replica Spitfires and a replica Hurricane. Also a genuine WW2 fuel bowser and a Queen Mary aircraft carrying low loader. 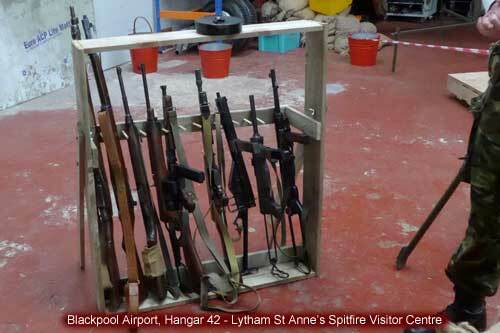 Also on display during open days is a collection of rifles an aircrew cabin and a number of displays including a recovered Spitfire engine. 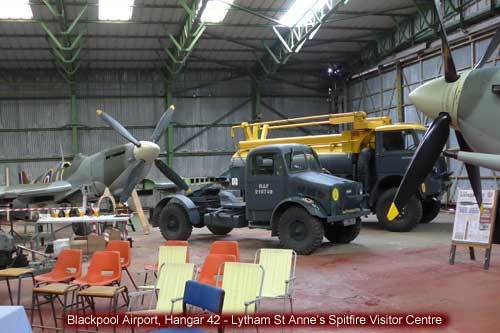 Work is underway to restore the Hurricane to a high class replica display and other aircraft are being looked at. All this is funded by Open Days at Hangar 42, displays of their replica aircraft at shows and loaning out their equipment for use in films, such as Home Front being shown on ITV on Sundays in Spring 2016.